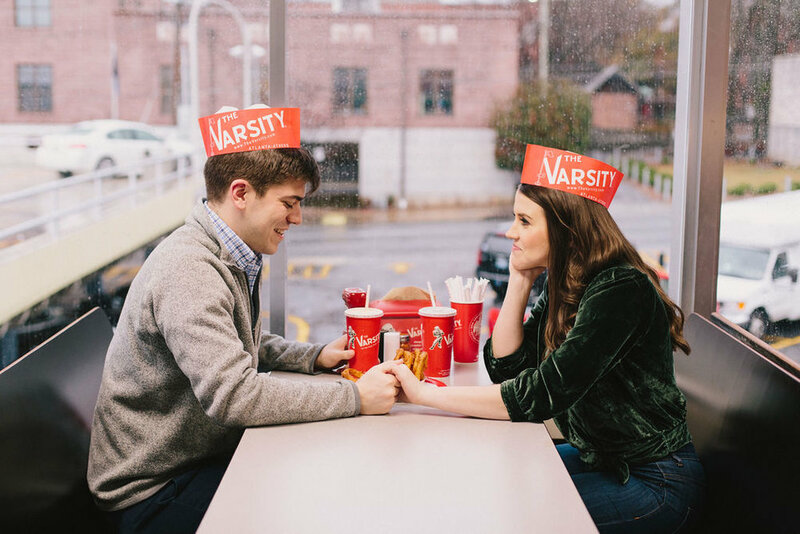 These two are total troopers. 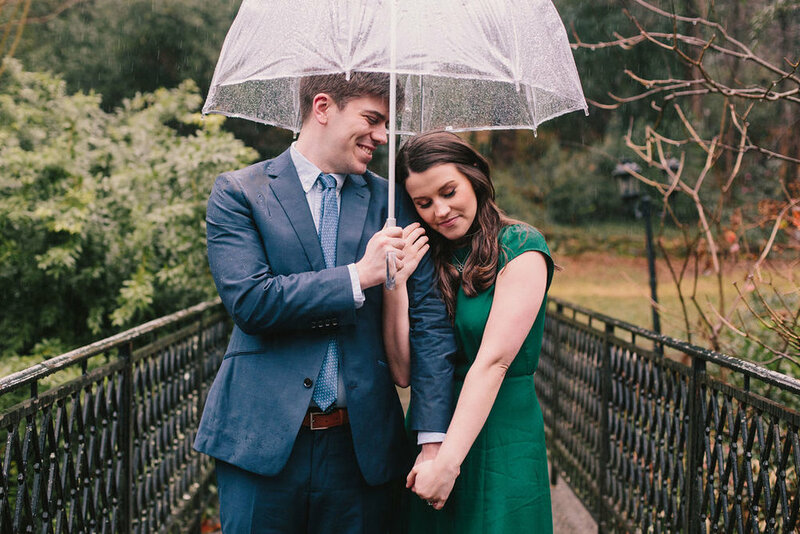 Chris proposed to sweet Abby in the rain at their alma mater, Princeton (where I met them!). 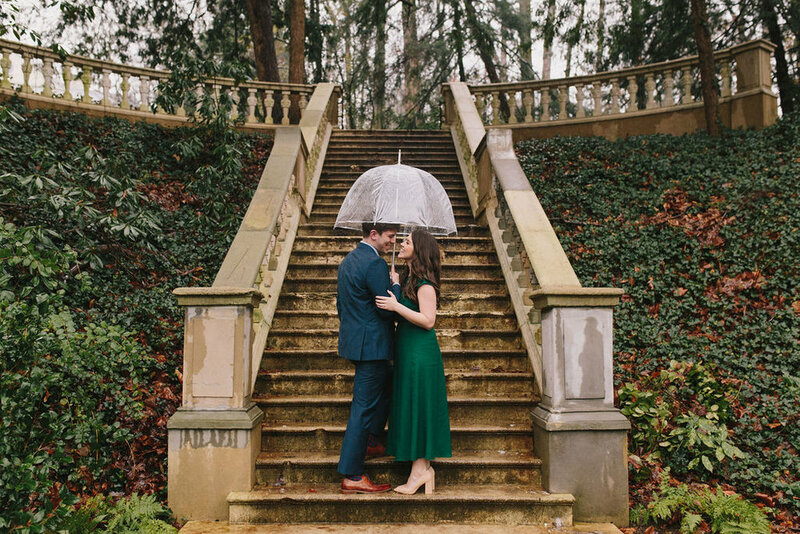 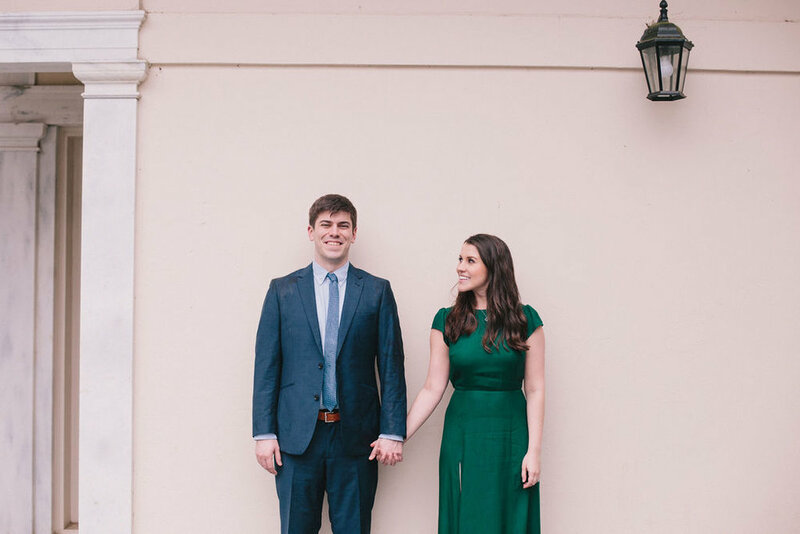 We shot their engagement photos in the pouring rain in Atlanta, and Chris tells Abby that they’ll “win the triple crown” if it rains on their wedding day in October. 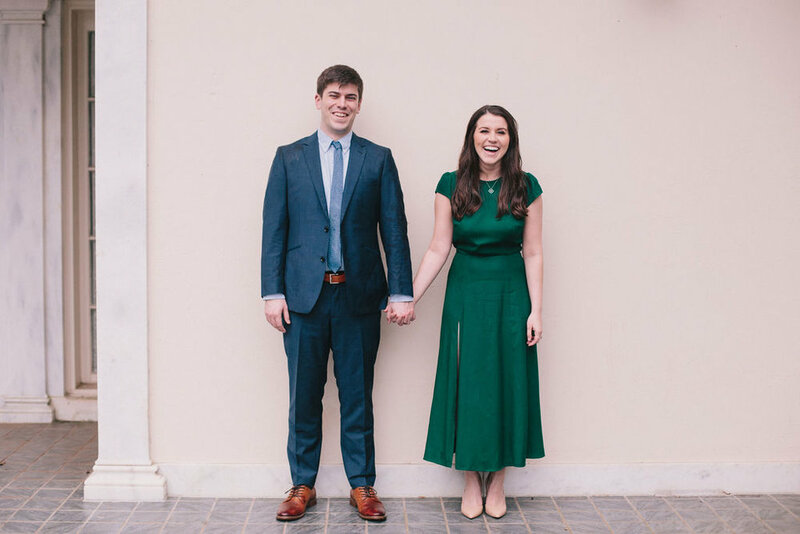 What a great attitude, right? 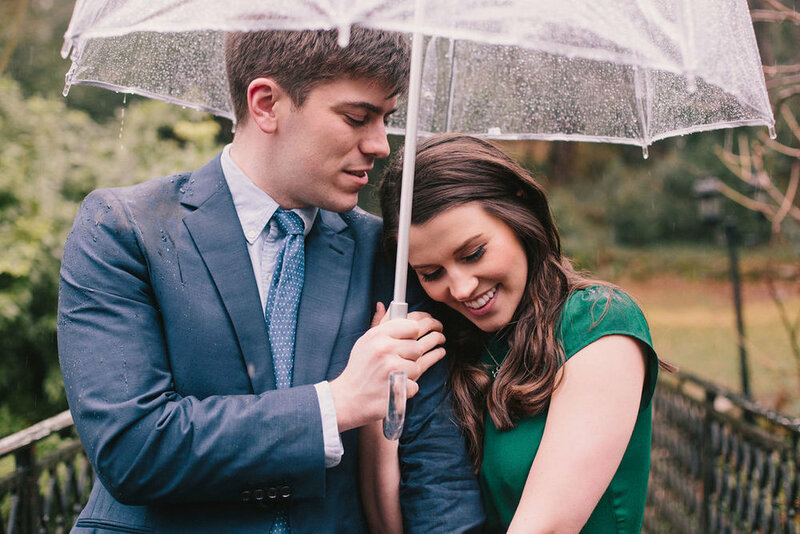 And just like good ol’ Owen Wilson surmises that Paris is even more beautiful in the rain in Woody Allen’s Midnight in Paris, I think that photographs in the rain can be some of the most meaningful and beautiful, too. 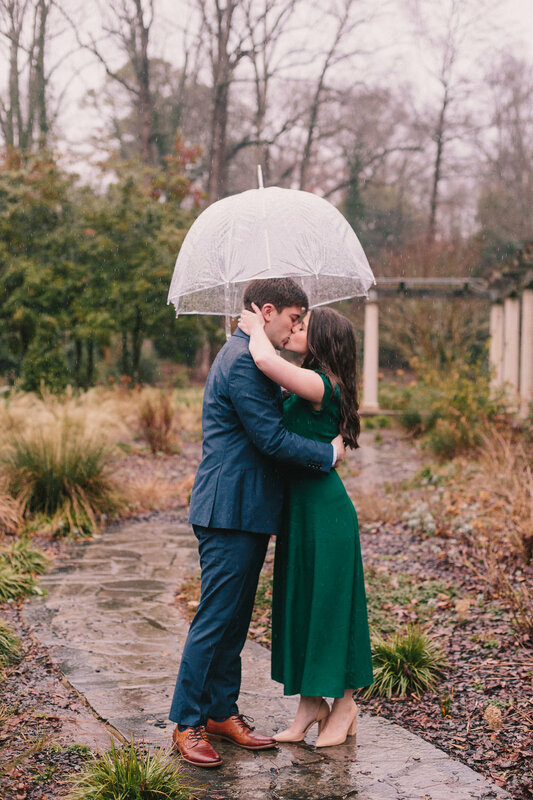 The rain has a way of making everything a little moodier—a little more romantic—and it brings out the realness in a couple that just leans into the weather. 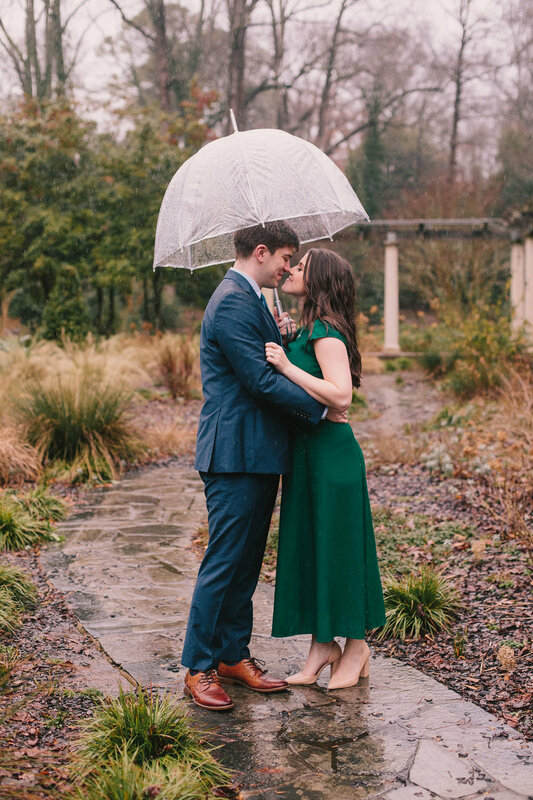 When you stop thinking about your hair and start channeling your inner Noah and Allie from The Notebook, magic happens. 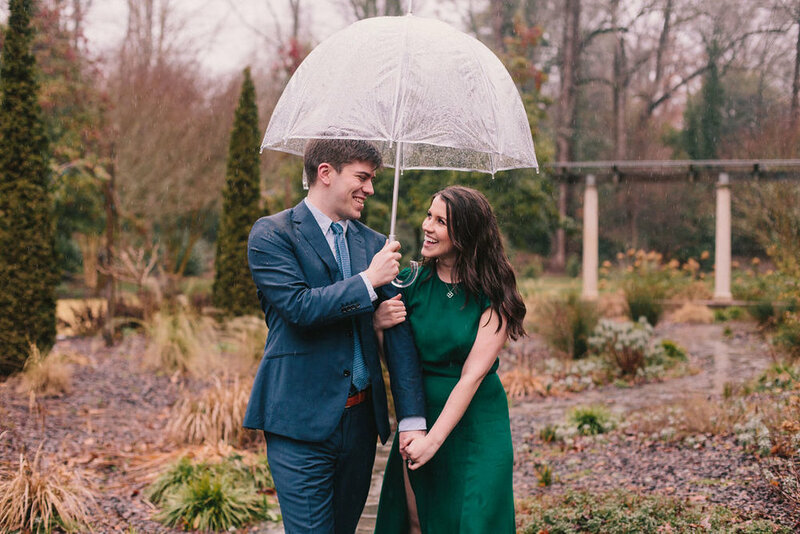 And Chris and Abby did just that. 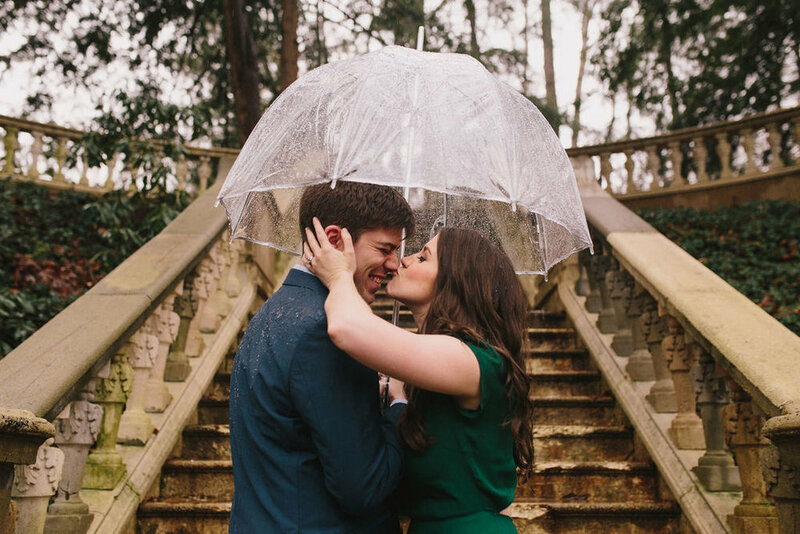 Weather-be-damned, they giggled and danced in the rain and just had a great time together. 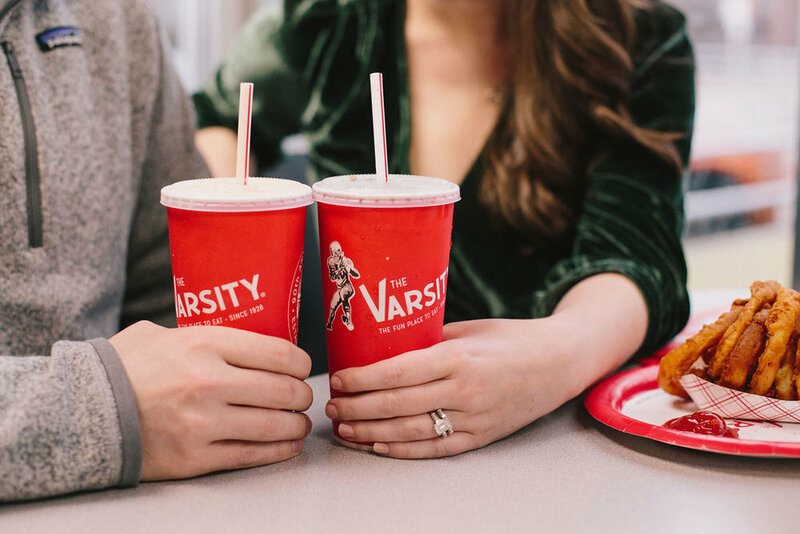 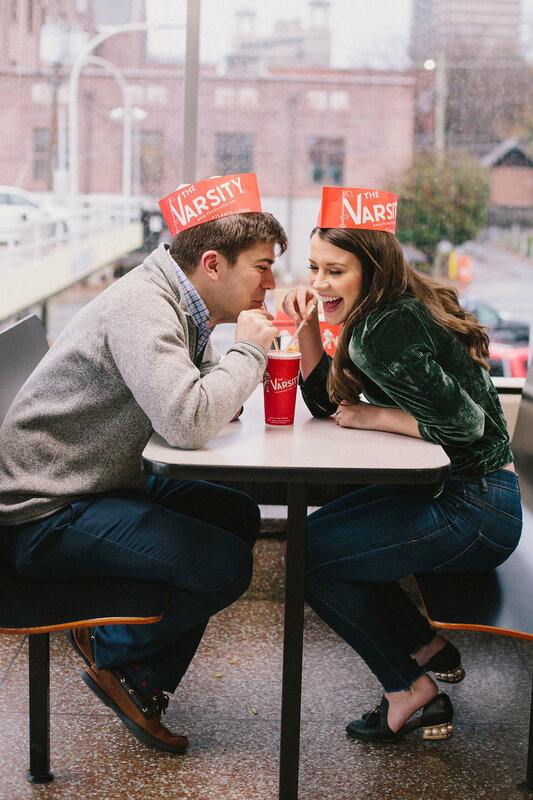 We started at the iconic Atlanta fast food joint, The Varsity, which holds a special place in their relationship. 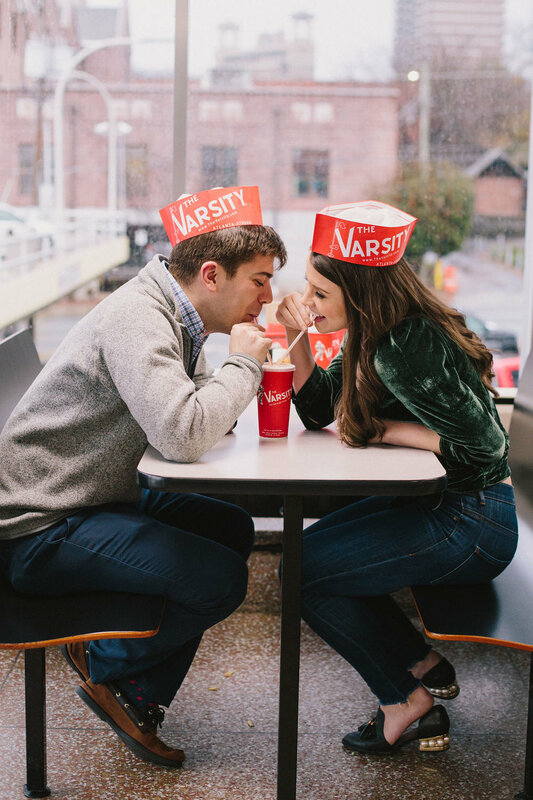 I love when couples want to shoot in a location that has specific meaning to them, and The Varsity is such a great contrast from their elevated and elegant wedding venue at the Atlanta History Center. 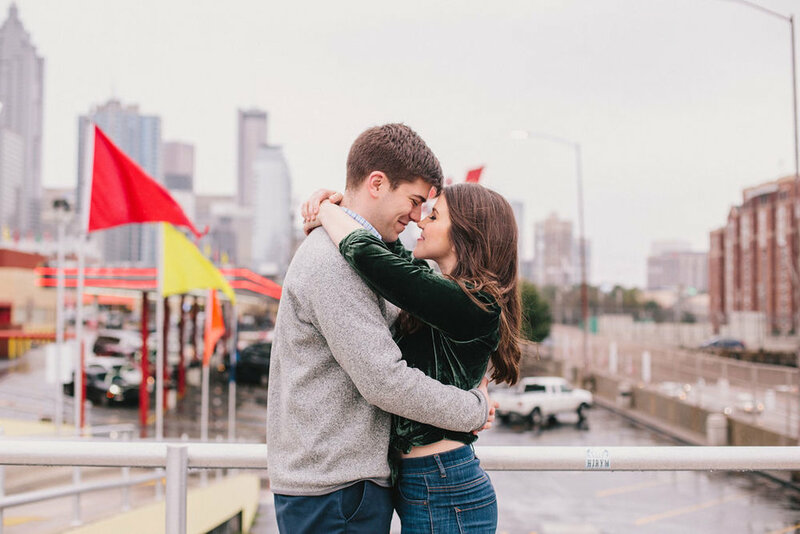 Chris and Abby, and I can’t wait to celebrate with you both in October! 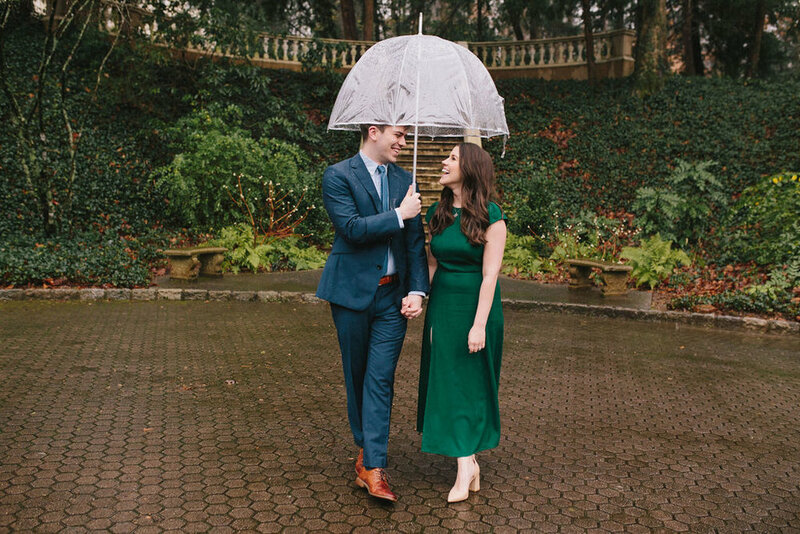 If rain brings good luck, you guys are set for life!